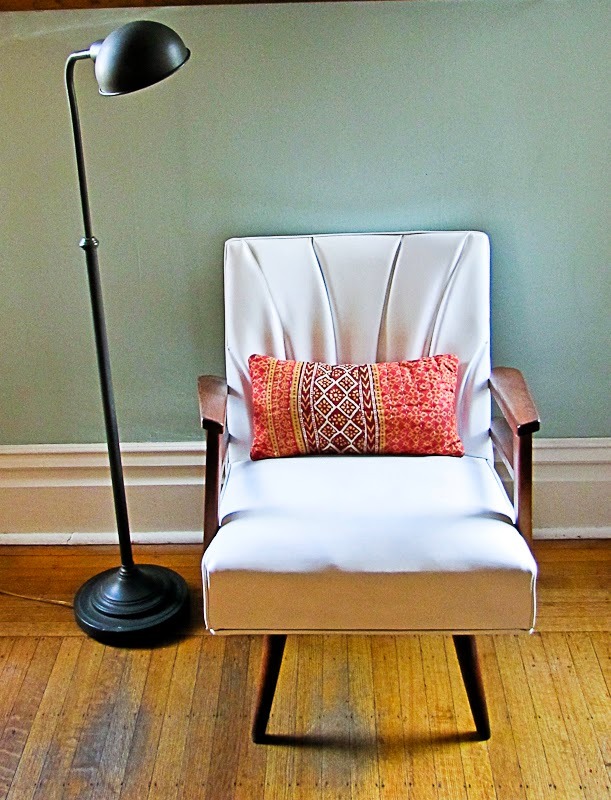 Typically when you see an old, dated piece of furniture, clothed in some sort of wipe off plastic, and you have any sort of thought of making it over – your first thought is to re-upholster it right? But in some cases, the fix is as simple as a $15 trip to the hardware store, and a good practice of your spray paint motion. Thats exactly what Kim over at Reposhed did. She loved the great angles of the arms, and really saw the potential of this chair – if it just wasn’t so dated. So she went to work, and in no time, had this gorgeous, designer worthy masterpiece, check it out! Grab the full tutorial and details over at reposhture! What do you think, love it or not so much?